More than forty years have elapsed since the release of the Omega Geneve Dynamic first generation collection. With its 'space-age' lines and novel dial designs, the Dynamic I is fast becoming a collectible for those Omegas fans who don't wish to break the bank in pursuit of their hobbies. The Dynamic established a number of firsts when it was released as well as pushing the boundaries of functionality and design. 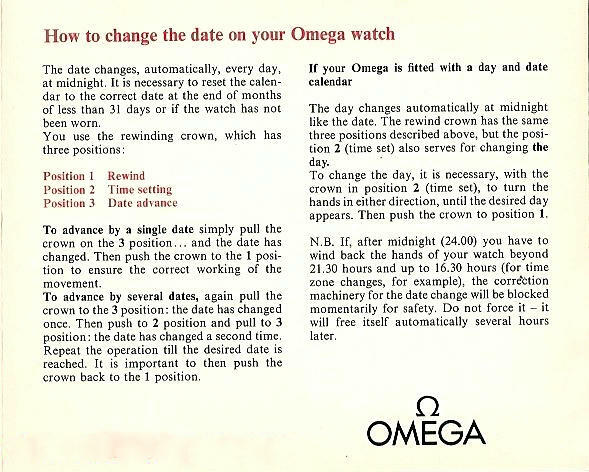 It was also powered by a family of Omega movements that to this day are regarded as some of the best production movements ever made. Over time I have received countless emails from collectors either seeking information on these models or wishing to authenticate a Dynamic that had caught their eye. In following through on their requests, I encountered a couple of scams along the way as well as some hitherto unpublished information. Click here for an essay on the origins of these icons of the later nineteen-sixties, the various designs and the authenticity checks to make prior to acquisition. Also included is a table of all known models. Good write up and very helpful . I just picked up my 1 st. Vintage Omega Dynamic caliber 752. The day date version is very nice. I've just bought one Dynamic Omega, day date movement. I thought it was a 752 movement, 24 jewels, but when I opened it up, the movement is 750 with 17 jewels. It seems to be in good conditions, with no rust or services signal. My question is: is that 750 mov correct for Dynamic models also? Thank you! Hmm, sounds iffy. What ois the case number and does the movement have OXG stamped on the main plate or train bridge? Generally, the table in the essay is accurate and there shouldnt be any deviations.